5 Leading updates on employee engagement around the world. New research on Middle East employee engagement released at Dubiotech Leadership Forum 2010 The research revealed that the top drivers of employee engagement in the region were (in order) Work that enables personal growth, working for the “right boss”, and being fairly treated (salary / benefits and equal rights). Employee engagement is expected to come under pressure in the next few months in Asia as the World Cup kicks off, but experts say it is unlikely to have a negative effect. Australian employee engagement. In their 2008 Q12 Survey of 1000 employees in Australia, The Gallup Organisation found that 79% of workers were not engaged or were actively disengaged. Gallup estimated this represented a productivity loss to the nation of around $42 billion annually, which can be translated to lower potential profitability at the individual business level. British Airways and Employee Engagement. Effective employee engagement can only be achieved through the correct and systematic application of knowledge, skills and resources to deliver the overall business strategy and create a modern workforce, where change becomes an intricate part of the organisational culture. British Airways needs good staff and responsible staff who recognise the responsibility they have not just towards the brand, but the customer their brand serves. You will only have a job or remain in business, if you serve your customers and put their needs first. Engineering the business. …this engineer spontaneously took the floor and shared, with the leadership team, her thoughts on turning technical support into a profit center while maintaining the primary focus of providing a superior customer experience. This engineer (a non-manager) knew her department’s performance numbers (key performance measures). She knew how their KPM’s affected subscription renewal rates. She knew how renewal rates affected revenue, and she knew the gross profit generated for every dollar of revenue. In short, she understood the operational/financial connection between how quickly her department answered the phone, addressed the customer’s issue, and how that affected revenue and gross profit. To top that, she presented a viable proposal for retaining high customer satisfaction and maintenance renewal rates while creating a new profit center for the company. 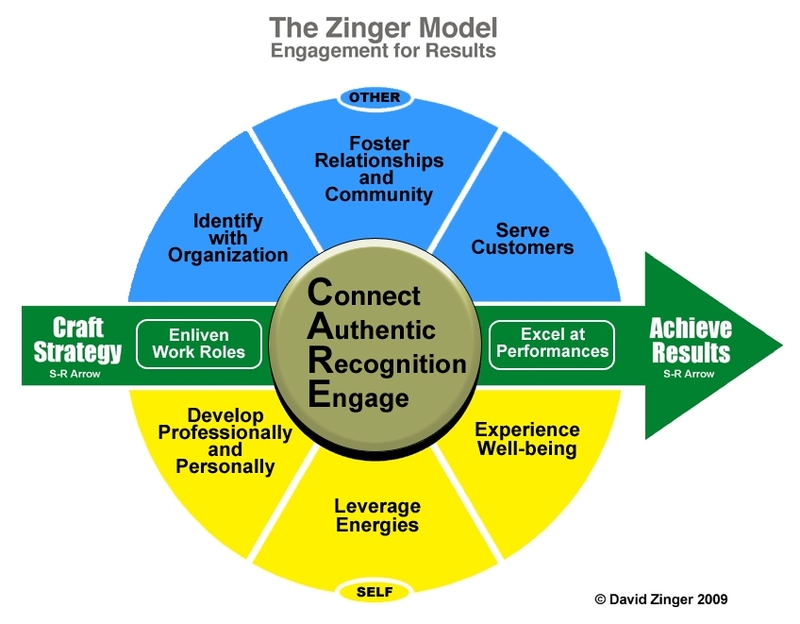 Contact David Zinger today for education, speaking, and coaching on engagement. David Zinger, M.Ed., is an employee engagement writer, educator, speaker, coach, and consultant. David founded and moderates the 2500+ member Employee Engagement Network. His own website offers 1000 posts/articles relating to employee engagement and reached over 1,000,000 page views in under 4 months in 2010.